Growing up as Americans, we are taught to expect liberty and justice for all. Like many things that we absorb, we later learned that that expectation is a goal, but not necessarily a reality. 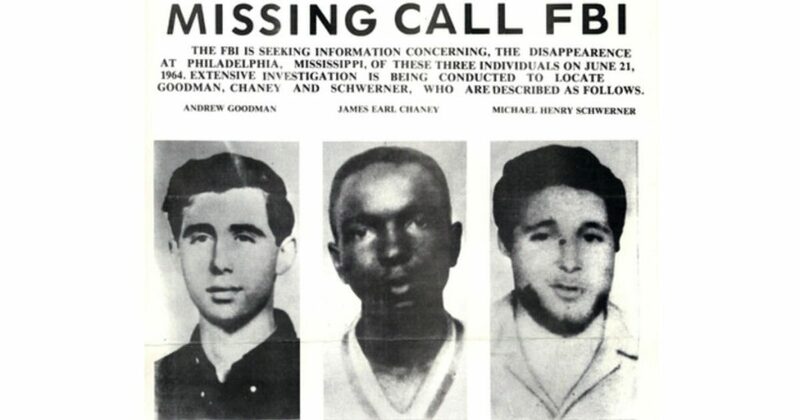 James E. Chaney, 21, Andrew Goodman, 21, and Michael Schwerner, 24, believed that an active involvement in the civil rights movement was more important than simply calling for change. The three men were in Mississippi as part of the Freedom Summer project to help register the disenfranchised black voters. 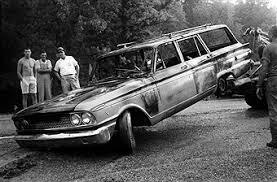 On June 21, Chaney, Goodman, and Schwerner went to investigate the burning. Police arrested them on speeding charges, incarcerated them for several hours, and then released them after dark into the hands of the Ku Klux Klan, who murdered them near Philadelphia, Mississippi. June 29, 1964: the FBI issued poster of missing workers. 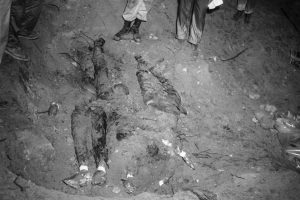 July 12, 1964: while looking for the bodies of the three missing civil rights workers searchers discover the disarticulated lower torso of Charles Moore in the river south of Tallulah, Louisiana. Moore’s body was identified by the draft card he had in his possession at the time of his death. August 4, 1964 six weeks into a federal investigation backed by President Johnson, Chaney, Goodman, and Schwerner’s bodies were found in an earthen dam. December 4, 1964: FBI agents arrested 19 Mississippi men on federal conspiracy charges in connection with the slayings. December 18, 1964: eighteen of the 21 Mississippians implicated in the murder were arraigned before a US commissioner in Meridan, MS. Defendant Lawrence Rainey, Neshoba county sheriff, said, “Hey, let’s have some Red Man” –and bit off a cheek-filling plug. His deputy (and codefendant) Cecil Price smiled and other defendants and spectators laughed. In 1966, Robert and Carolyn Goodman, Andrew’s parents, started The Andrew Goodman Foundation to carry on the spirit and purpose of their son’s life. 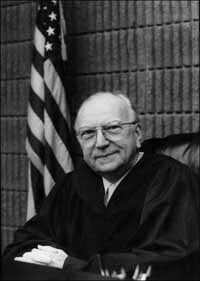 March 28, 1966: in U. S. vs. Price et al, the Supreme Court overruled Federal Judge Cox and reinstated the indictments. A jury of seven white men and five white women, ranging in ages from 34 to 67, was selected. Defense attorneys exercised peremptory challenges against all seventeen potential black jurors. A white man, who admitted under questioning by Robert Hauberg, the U.S. Attorney for Mississippi, that he had been a member of the KKK “a couple of years ago,” was challenged for cause. Judge Cox denied the challenge. October 20, 1967: the all-white jury convicted seven conspirators [Cecil Price, Samuel Bowers, Alton Wayne Roberts, Jimmy Snowden, Billy Wayne Posey, Horace Barnett, and Jimmy Arledge] and acquitted eight others. For three men, including Edgar Rice Killen, the trial ended in a hung jury, with the jurors deadlocked 11–1 in favor of conviction. The lone holdout said that she could not convict a preacher. The prosecution decided not to retry Killen and he was released. None of the men found guilty would serve more than six years in prison. December 2, 1988: release of Mississippi Burning film. Chris Gerolmo wrote the story and Alan Parker directed it. It was loosely based on FBI’s investigation of the Chaney, Goodman and Schwerner murders. May 6, 2001: Cecil R. Price, who as a deputy sheriff arrested the three civil rights workers and was eventually found guilty of delivering them into the hands of their killers, died in Jackson, Miss. He was 63. April 13, 2007: the Mississippi Supreme Court upheld the manslaughter convictions of Edgar Ray Killen. October 15, 2013: the U.S. Supreme Court said it would consider arguments from Killen who said he was denied constitutional rights in his Mississippi trial, the same argument he had made in 2012. The Mississippi attorney general’s office said that it had notified the Supreme Court that no response to Killen’s petition would be filed. November 4, 2013: the U.S. Supreme Court rejected a Killen’s appeal. The decision meant that the justices would not review lower-court rulings that had found no violations of Killen’s constitutional rights during his trial in Mississippi. 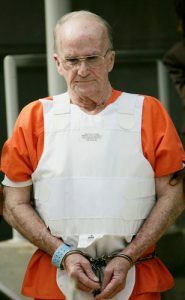 January 4, 2014: Edgar Ray Killen, convicted in 2005 for the 1964 slayings of three civil rights workers in Mississippi, asked the U.S. Supreme Court to look again at his motion for a new trial. January 13, 2014: the U.S. Supreme Court denied the rehearing request. The justices issued the order without comment. November 10, 2014: President Barack Obama announced 19 recipients of the Presidential Medal of Freedom, including James Chaney, Andrew Goodman and Michael Schwerner. “From activists who fought for change to artists who explored the furthest reaches of our imagination; from scientists who kept America on the cutting edge to public servants who help write new chapters in our American story, these citizens have made extraordinary contributions to our country and the world,” he said. December 22, 2014: the Associated Press interviewed Edgar Ray Killen inside the Mississippi State Penitentiary, his first interview since his 2005 conviction. He refused to discuss the “Freedom Summer” slayings. He said he remained a segregationist who does not believe in race equality but contends he bears no ill will toward blacks. Killen had first contacted an AP reporter 18 months ago. In his first letter on March 3, 2013, he made clear that no conversation with a reporter would result in a confession. June 21, 2016: Mississippi Attorney General Jim Hood announced an end to the active federal and state investigation into the 1964 killings. May 2, 1964: Henry Hezekiah Dee and Charles Eddie Moore (both 19) were hitchhiking on a highway near Meadville, Mississippi. James Ford Seale, believing that they were black activists, kidnapped them and took them to the Homochitto National Forest where he, with the assistance of other KKK friends he’d contacted, tied them to a tree and beat them. After the beating, the group put Dee and MooreHe two into a car trunk drove to them to the Ole River in Tallulah, LA. The men put Dee and Moore into a row boat, wrapped them in plastic, tied an engine block and RR track to them, and dumped them, still alive, into the river where they died. 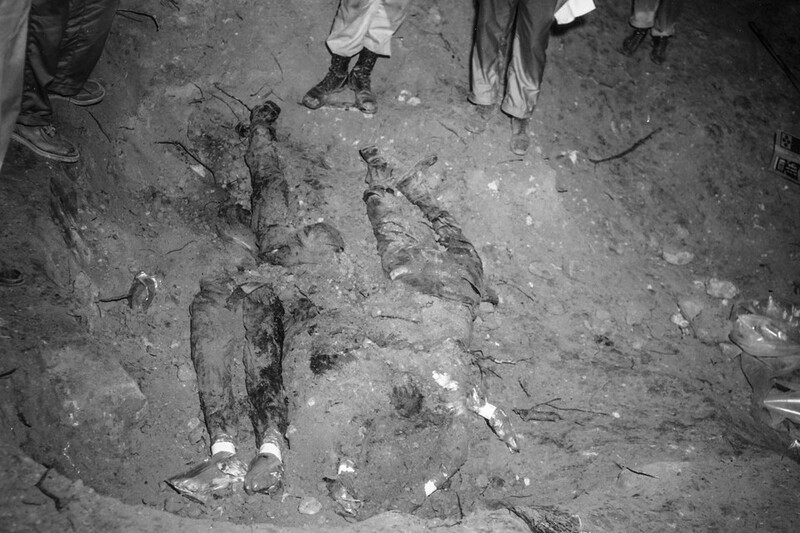 July 12, 1964: while looking for the bodies of the three missing civil rights workers, Michael Schwerner, Andrew Goodman, and James Chaney, searchers discover the disarticulated lower torso of Charles Moore in the river south of Tallulah, Louisiana. Moore’s body was identified by the draft card he had in his possession at the time of his death. 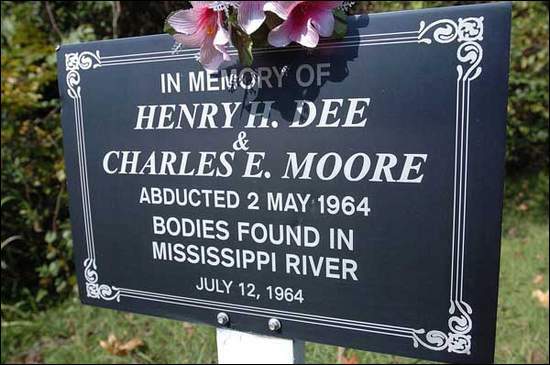 July 13, 1964: the disarticulated lower torso of Henry Dee was found in the river in the same area as Moore the day before. November 6, 1964: after an extensive FBI investigation, state authorities arrested James Ford Seale and Charles Marcus Edwards for the kidnapping and murder of Dee and Moore. After the dismissal , the FBI actively continued to investigate the murders to no avail. January 14, 1966, the subcommittee of the House Committee on Un-American Activities, which was investigating Klan activities, called Seale and nine other alleged Klansmen from the violent White Knights of the Ku Klux Klan. Those called included Seale’s father, Clyde Seale, and Charles Marcus Edwards, his alleged accomplice in the Dee-Moore murders. In 1998 Thomas Moore, the older brother of Charles, began to work on the case. Then living in Colorado, he wrote to District Attorney Ronnie Harper asking him to look into his brother’s murder. Harper agreed. 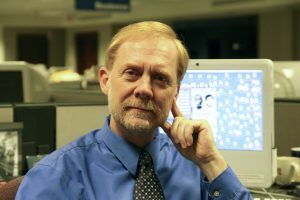 Various media journalists began to look at the story again, including Newsday, 20-20 and investigative reporter Jerry Mitchell of The Clarion-Ledger (Jackson, Mississippi). On January 14, 2000. Mitchell reported that the murders occurred on federal land. This spurred the FBI to take another look, as the location gave them jurisdiction. Filmmaker David Ridgen of the Canadian Broadcasting Corporation contacted Moore. 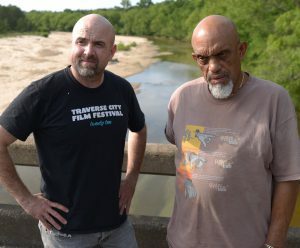 Together they went to Mississippi and on July 7, 2005, Ridgen began shooting the documentary Mississippi Cold Case, about the events of Moore’s brother’s murder. Part of the challenge was that they were operating under the impression that Seale had died, but locals revealed that he was still alive. January 24, 2007: a federal grand jury indicted James Ford Seale. June 14, 2007: James Seale convicted by a federal jury on one count of conspiracy to kidnap two persons, and two counts of kidnapping where the victims were not released unharmed. September 9, 2008: a panel of the Fifth Circuit Court of Appeals overturned the kidnapping conviction of James Seale. June 5, 2009: an en banc panel of the Court of Appeals upheld James Seales’s original conviction. The defense counsel appealed to the US Supreme Court. Viola Fauver Gregg was born on April 11, 1925 in California, PA. Her family was poor and often moved to find work. While living in Detroit, she witnessed the cruelty that its black citizens were subjected to and became sympathetic. In 1964 she joined the National Association for the Advancement of Color People. By then she had married Anthony Liuzzo and they had three children. 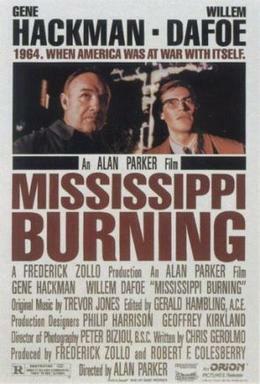 Watching the horrors of the March to Montgomery’s first attempt, Liuzzo decided to go to Selma and participate. She joined parts of the march to Montgomery and on March 25, 1965 listened to Dr Martin Luther King, Jr’s famous “How Long Will It Take” speech. It would be the last speech she heard. Using her car, Viola Liuzzo and Leroy Moton, a 19-year-old black man who had also marched and assisted with the March to Montgomery, were helping to shuttle people from Montgomery back to Selma. After dropping passengers in Selma, she and Moton headed back to Montgomery. 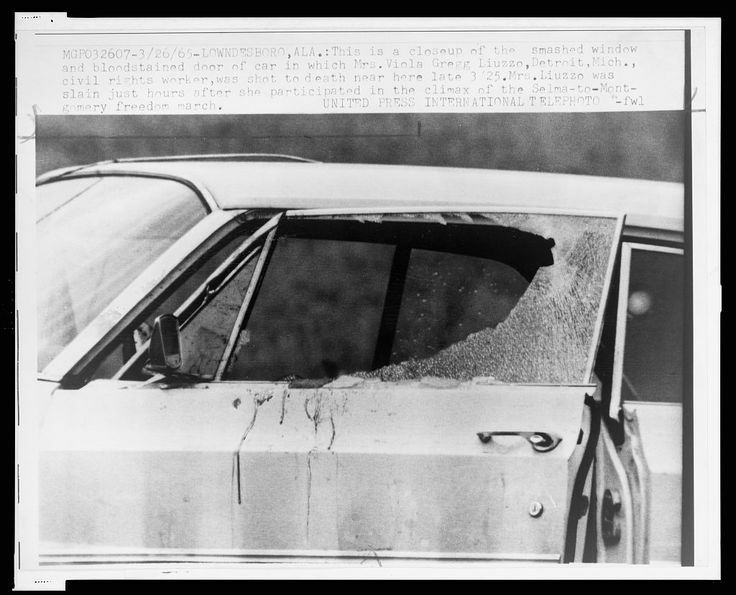 On the way another car pulled alongside and a passenger in that car shot directly at Liuzzo, hitting her twice in the head, and killing her instantly. Moton was uninjured. March 29, 1965 : the NAACP sponsored a memorial service for Viola Liuzzo at the People’s Community Church in Detroit. Fifteen hundred people attended, among them, Rosa Parks. April 3, 1965 : the mother of Collie Leory Wilkins told President Johnson that he has made it impossible for her son to have a fair trial. 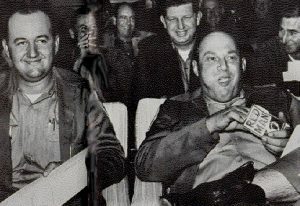 From Left to Right; Collie Leroy Wilkins Jr., Eugene Thomas, and William Orville Eaton. April 6, 1965 : a grand jury indicted Collie Wilkins, William Eaton, Eugene Thomas, and Gary Rowe. 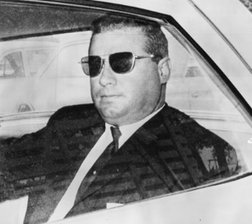 May 3, 1965 : the Wilkins trial began. May 10, 1965 : Collie Wilkins, William Eaton, and Eugene Thomas participated in a Ku Klux Klan parade. Collie Wikkins, free on bond after the mistrial, carried a Confederate flag. After the parade, the Imperial Wizard of the United Klans of America, Robert Shelton, asked the three men to stand. They received a standing ovation. August 20, 1965 : Matt Murphy, the defendants’ lawyer in the Viola Liuzzo murder, died in an automobile accident after he fell asleep while driving and crashed into a gas tank truck. Segregationist and former mayor of Birmingham, Art Hanes, agree\ds to represent three accused killers. October 19, 1965 : State Attorney General, Richmond M Flowers, interrupted the second Liuzzo trial and asked the Alabama Supreme Court to purge some jurists, a number of whom stated during jury selection that they believed white civil rights workers to be inferior to other whites. The request was denied. October 22, 1965 : the jury took less than two hours to acquit Collie Wilkins in Liuzzo’s slaying. November 30, 1965 : Collie Wilkins (already acquitted in State Court), Eugene Thomas, and William Eaton faced trial on Federal charges that grew out of the killing of a Viola Liuzzo. They were charged with conspiracy under the 1871 Ku Klux Klan Act, a Reconstruction civil rights statute. The charges did not specifically refer to Liuzzo’s murder. 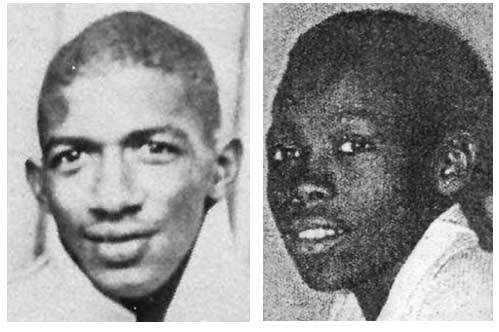 December 3, 1965 : an all-white jury found Collie Wilkins, Eugene Thomas, and William Eaton guilty. The three were sentenced to 10 years in prison. April 27, 1967 : the US Court of Appeals for the Fifth Circuit upheld the conspiracy convictions of Thomas and Wilkins, Jr. William O Eaton, the third person, had died. 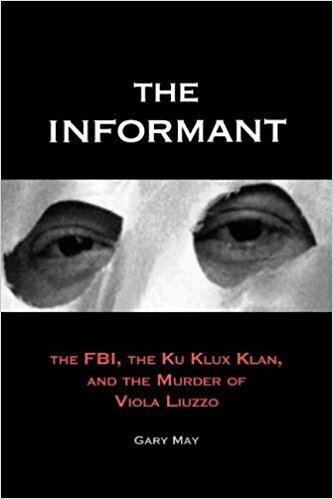 May 17, 1982 : the US Court of Appeals for the 11th Circuit ruled that Alabama could prosecute Gary Rowe, the FBI informer, in the 1965 slaying of Viola Luizzo. The ruling affirmed an order by a lower court. 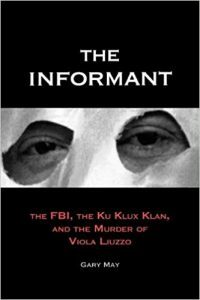 Rowe, who was a Klan informant from 1959 to 1965, was charged with murder in the 1965 killing of Viola Liuzzo, a civil rights worker, but a federal appeals court barred him from being brought to trial because of an earlier agreement giving him immunity. April 2, 1983 : final arguments in the $2 million negligence suit against the FBI were made in Federal court by lawyers for the children of Viola Liuzzo, whose murder they attributed to a paid F.B.I. informer, Gary Rowe. Viola Liuzzo’s children not only lost their suit against the Federal Government but were ordered to pay court costs of $79,800, in addition to legal fees that amounted to more than $60,000. They appealed the ruling which was reduced to a smaller amount. The Liuzzo family’s court costs alone were estimated at $60,000, according to Jeffrey Long, one of their lawyers. Last week, Judge Joiner dismissed the family’s $2 million lawsuit against the Federal Government. The family maintained Gary Rowe, an informer for the FBI, either shot at Mrs. Liuzzo or could have prevented the shooting. April 10, 2015: Wayne State University posthumously awarded an honorary doctor of laws degree to Viola Liuzzo. Liuzzo’s family traveled from around the country to attend the ceremony and accept the award on her behalf.